Certified by the state of California as a Certified Shorthand Reporter, Cheryl Parrish is the cornerstone of Parrish Reporting. A fearless and dedicated entrepreneur, Parrish has shown by her life’s accomplishments that she has the tenacity to get the job done, and done correctly. 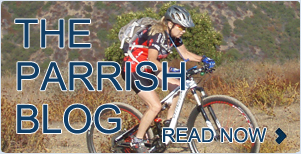 Currently an extreme mountain biker with many wins to her name, Parrish has twice beaten cancer. She is an active volunteer with the American Cancer Society, participates in road races to raise money for cancer research and in the 1990s established the Walking Fish Society, a support group for 18-40 year old people living with cancer.